Easy to find 2 bedroom home. Be one of our first guests at this property first available Labor Day weekend 2018. 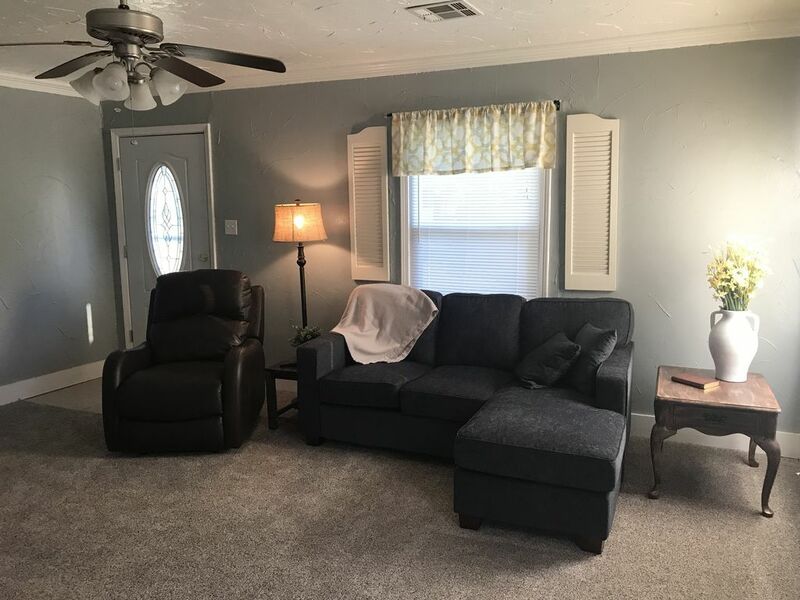 Located in Midwest City's "Original Mile" this house has loads of charm and is just minutes away from I40. Enjoy the modern farmhouse decor and comfort of a full kitchen, living room and 2 separate bedrooms for less that the cost of a single hotel room. Queen bed in one room and full in the other with a futon in the attached laundry room. Free WiFi and off the street parking. We enjoy hosting guests from all over. This is our third property to list for short term rental. We love the convenience of being in Midwest City's "Original Mile". Basic, nicely upgraded small home. Comfortable and clean in a quiet neighborhood. Great alternative to a hotel!